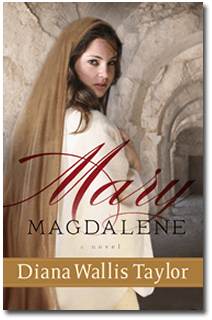 My latest fascinating read was Mary Magdalene by Diana Wallis Taylor. I jumped into this book and was swept away. I loved going back to the years before Christ’s ministry started, and seeing the lives of the people during that time. I enjoyed this fictional tale of what could have happened to Mary Magdalene. We know very little specifics about this woman who loved Jesus. We do know she was a devoted follower during a period of time in his ministry. We do not know her “back story,” and that is just the story that Ms. Taylor weaves together for our enjoyment. We do know that Mary was plagued with demons; Ms. Taylor’s fictional story is an account of a young woman used as a pawn to get money, and as a result ends up terrorized by demons for years to come. While I am aware this may not be the truth, the details surrounding this story are very accurate and create a vision of what life was like during this time. I loved this novel, and I plan to look for the other two other historical novels Ms. Taylor has written : Journey to the Well and Martha. I felt that Ms. Taylor told a enlightening story, but she was completely accurate with her biblical references and historical details. I highly recommend this book, it would be a great summer read by the pool, or cooling off indoors!! 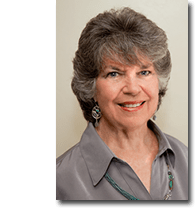 Recently named “Writer of the Year” by the San Diego Christian Writer’s Guild, Diana Wallis Taylor has been writing since the age of 12 when she sold her first poem to a church newspaper. Her third novel, Mary Magdalene comes out in May and she recently completed her fourth novel of Biblical Fiction for Revell, Claudia, Wife of Pontius Pilate. She won first place in the San Diego Book Awards for her short story, “Phipps and the Jay”; First place in Christian Romance for her book Smoke Before the Wind. First place in Christian Fiction for her manuscript, “House of the Forest”; Second place last year for Martha all in the Reader’s Favorite Book Review and Award Contest. Her collection of poetry, Wings of the Wind came out in 2006. Her writing contributions appear in various compilation books and magazines. Diana wrote the words and melodies to an Easter cantata called “Glorious” recently completed with her fellow collaborator, Carolyn Prentice, who did the orchestration. Diana lives with her husband Frank in San Diego, California. Between them they have six grown children and ten grandchildren. She enjoys speaking and sharing her heart with women of all ages. In addition to her speaking and writing, she serves on the Board of the San Diego Christian Writer’s Guild, the Board of her church, sings on the worship team, and enjoys taking part in Professional Women’s Fellowship. NOTE: I was provided a copy of this book at no cost, in exchange for an honest review, by Revell Publishers.